Maintain contact: Your communications with your clients shouldn’t be a once-and-done affair. Your best leads often come from your existing customer base. Use email to send short updates and messages about discounts, special events or other items of interest. Use regular mail to send an attention-getting letter of appreciation, customer satisfaction survey, greeting card, or small gift. Ask for referrals: Your satisfied customers are likely to know someone else who could also use your products or services, so ask for referrals on as many communications as possible. Check the neighborhood: There is a good chance that other residents of your customers’ neighborhoods could benefit from what your business offers. Radius marketing sends targeting mailings to potential customers within a specified geographic radius from your customers’ home address. Ask for opinions: Send online or offline surveys to your customers to find out what they think about your business, your products/services, and your industry. Customer satisfaction surveys allow clients to give you valuable feedback on a recent experience, while lead generating surveys ask questions regarding clients’ buying habits, interests, and plans. Make it easy to respond: When asking customers if they need information on your services, requesting referrals, or seeking survey responses, make it as easy as possible for them to respond. Include postage-paid customer response cards or business envelopes in physical mailings. Email communications should include links to online lead generating forms. 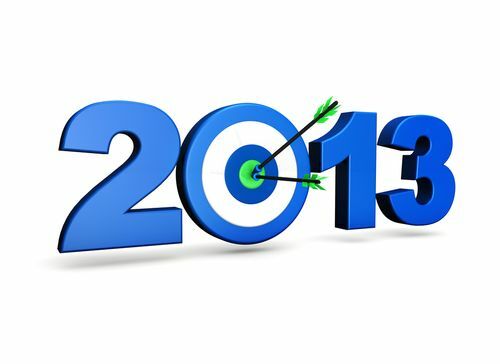 A good idea is to tie your online and offiline marketing together, making your 2013 marketing strategy cross-media. This can be done through PURLs, QR Codes and incorporating different vehicles to deliver your messages. Don’t forget to keep your brand consistent and personalize everything. Never send something out that is not addressed to the correct person, using their name! How have lead generation programs and techniques helped you expand and grow your business? Feel free to share your experiences here, on our blog.